What to expect: “Doma” means “at home” in Latin, and we certainly felt at home. One of Wynwood’s recent additions, Doma is a quaint and upscale neighborhood spot serving up Southern Italian cuisine. The dining room features an open kitchen and a gorgeous wine cellar encased in floor to ceiling glass. If you are in the mood to dine al fresco, there is a beautiful patio out back with a lush garden. Together, the hospitality and the food create an authentic Southern Italian experience. 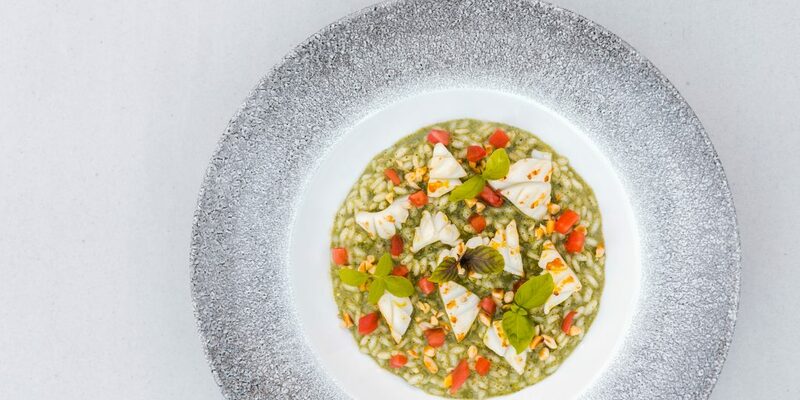 Chef Vincenzo Salvatore is from Naples, Italy and has worked at several Michelin starred restaurants throughout his career. The Menu: Doma has both classic Italian dishes and modern variations. The dishes highlight local ingredients with an emphasis on seafood. Guests can choose from crudos, local daily catches, seafood, meat, and incredible homemade pasta. 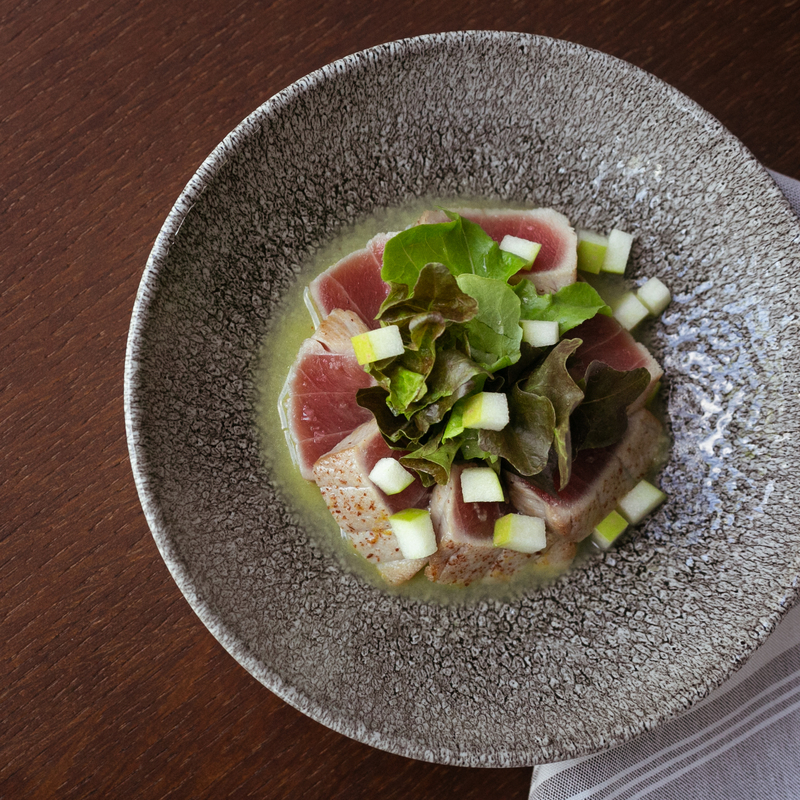 What to order: The Yellowfin Tuna Crudo is a must have from the “Bites” section of the menu – fresh tuna and tart green apple with an unexpected but wonderful sprinkling of cinnamon. We loved the citrus sauce, which doubles as a dressing for the little gem butterhead lettuce. 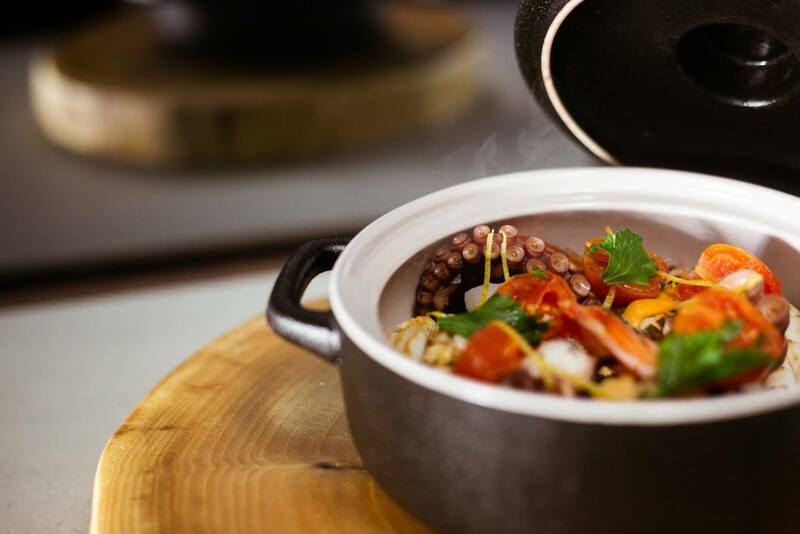 Another standout dish is the Warm Seafood Salad “in guazetto”: an assortment of seafood in an adorable pot of deliciously seasoned bouillabaisse. Pro tip: Save some of the broth for dipping the crusty homemade bread! Make sure to leave room for pasta, because all of them are handmade and not to be missed. 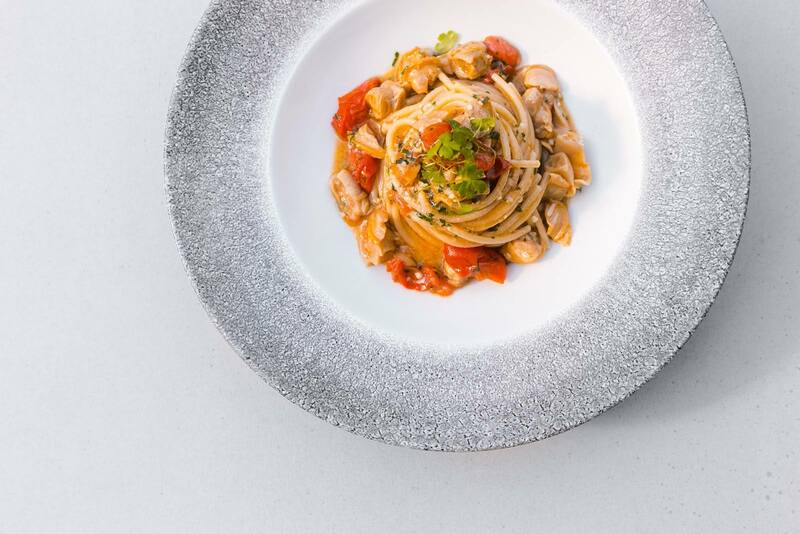 One of our favorites is the Spaghetti “alle vongole” with manila clam, cherry tomato, garlic, and chili pepper. 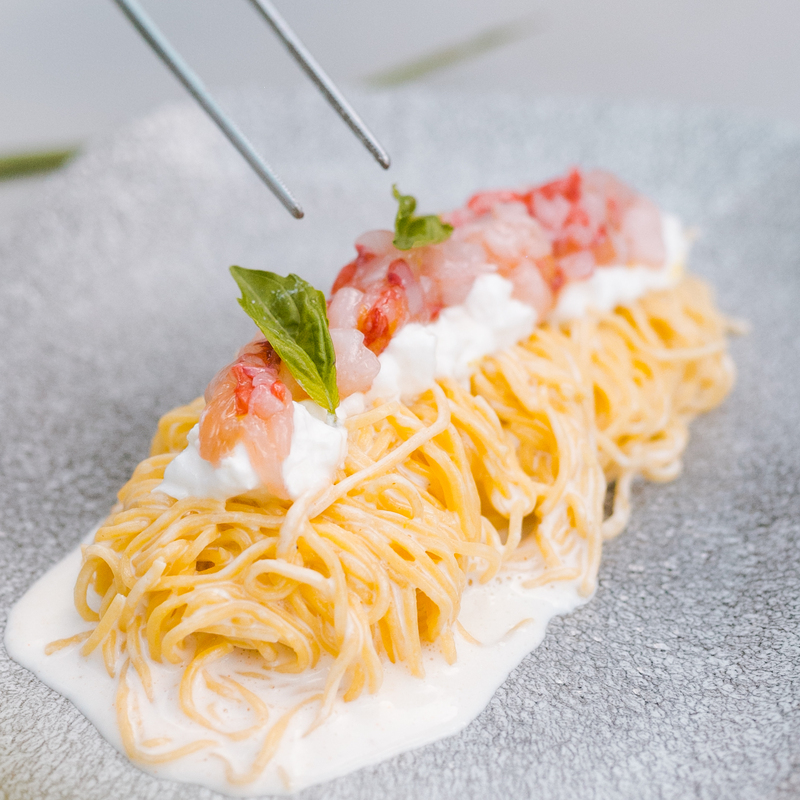 The pasta is one of the most perfect examples of al dente we’ve experienced outside of Italy, matched only by the sauce, with fresh seafood and unforgettable seasoning. From the meat selection, you can’t go wrong with the New Zealand Lamb Chop. Meat from New Zealand is always a treat, and these chops are juicy and tender. The chops are complemented by a tangy Greek yogurt sauce with sumac and a side of sauteed spinach. How to score a table: This newcomer won’t stay under the radar for long, so reservations are recommended. Stay tuned for a Sunday brunch service, starting soon!